Taking place in the same universe as The Walking Dead, Fear the Walking Dead explores the onset of the undead apocalypse through the lens of a fractured family. The horror-drama is set in Los Angeles, where a mysterious outbreak threatens to disrupt what little stability high school guidance counselor Madison Clark (Kim Dickens, Gone Girl) and English teacher Travis Manawa (Cliff Curtis, Colombiana) have managed to assemble. The everyday pressure of blending two families while dealing with resentful, escapist, and strung out children takes a back seat when society begins to break down. A forced evolution, a necessary survival of the fittest takes hold, and the dysfunctional family must either reinvent themselves or embrace their darker histories. The 2-disc contains all six episodes of the series, as well as character bios and a “Look at the Series” featurette. 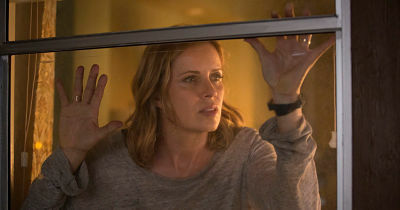 Fear The Walking Dead: Season Two premieres on AMC with 15 new episodes in 2016.